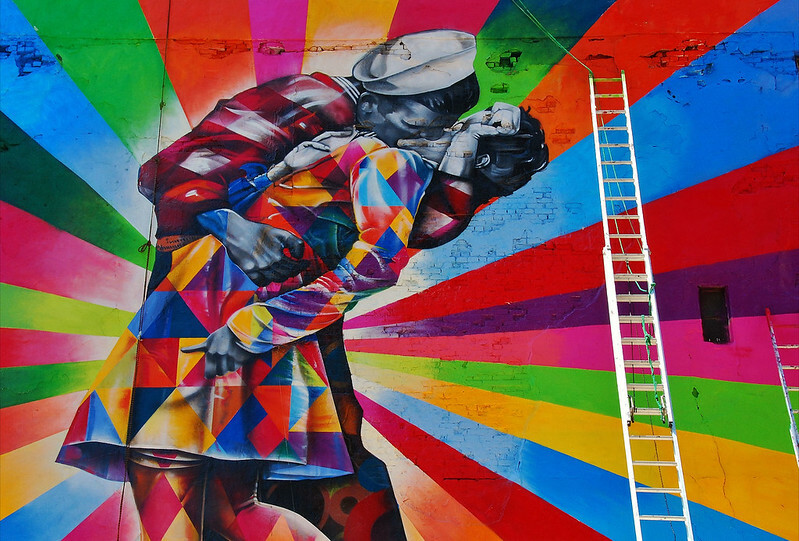 Eduardo Kobra is an artist and designer from Sao Paulo, Brazil. 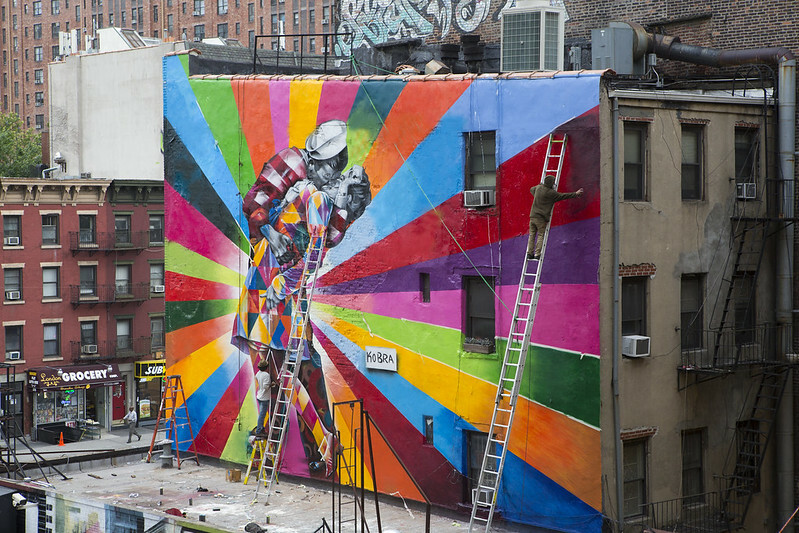 Kobra is known for his massive-scale murals on city walls around the world. 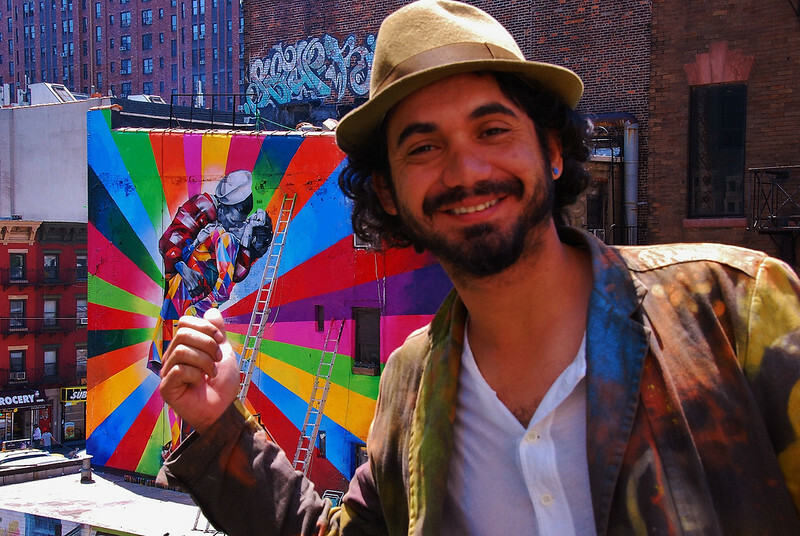 You can check out his amazing work and process on his very active Flickr page as well as his own site. 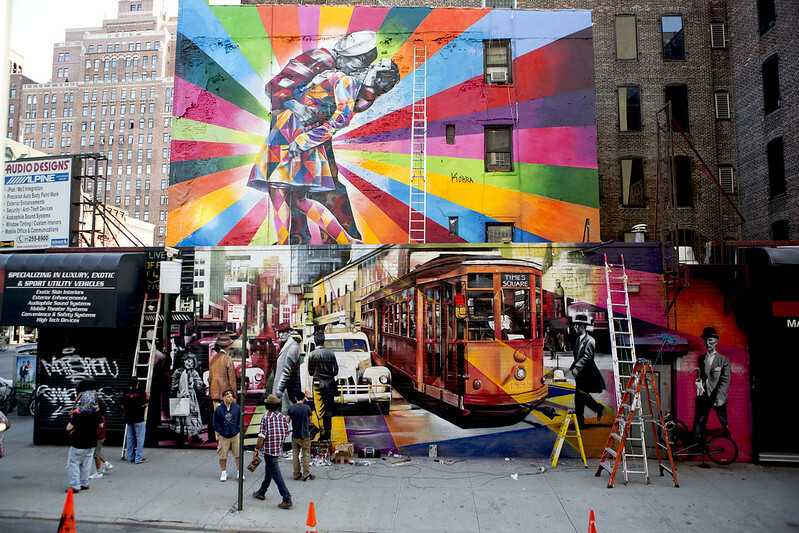 For this recently finished piece, Eduardo and his crew (Studio Kobra) put up this incredible work of art in Manhattan, New York City at 25th and 10th. Many of you will recognize the photograph this artwork was based on, it’s the iconic V-J Day in Times Square by Alfred Eisenstaedt. The original photo portrayed an American sailor kissing a woman in a white dress in Times Square, New York City, on August 14, 1945. The photograph was published a week later in Life magazine among many photographs of celebrations around the country that were presented in a twelve-page section called Victory. 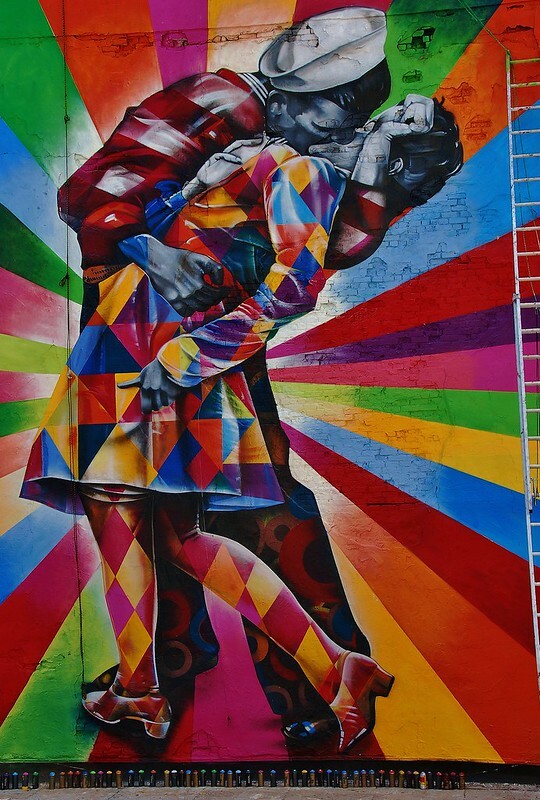 See More from Eduardo Kobra on Flickr!